Bengaluru, Nov 1 (IANS) Union Commerce Minister Suresh Prabhu on Thursday said a joint task force set up by the Commerce Ministry and Karnataka government will address the concerns of southern state's flood-hit coffee growers. "I have spoken to the Chief Minister (H.D. Kumaraswamy) and we have decided to set up a task force along with the Karnataka government to deal with the issues being faced by the coffee planters as a result of the recent floods," Prabhu told a coffee planters' gathering here through a video address from New Delhi. The Minister was addressing the 60th anniversary of Karnataka Planters' Association (KPA), the apex decision-making body in the state for coffee, tea, rubber, pepper and cardamom plantations. Due to the heavy rains and floods in the coffee-growing districts of Kodagu, Chikkamagaluru and Hassan in August, the loss and damage caused to coffee estates, coffee crop and infrastructure is estimated to be Rs 3,000-crore, according to the KPA. 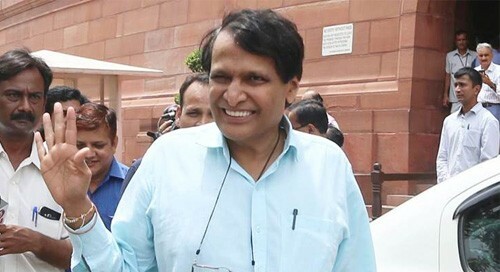 The Commerce Ministry will do everything to ensure the planters' issues are addressed, Prabhu said. With about 45,000 growers producing 40 per cent of India's coffee, Kodagu contributes a major quantity of the aromatic beverage. With its adjacent districts - Chikkamagaluru and Hassan -- the region in the southern state's Western Ghats accounts for 70 per cent of the country's bean production. As many as 20,000 of the growers in Kodagu have lost about 70 per cent of their crop due to the recent floods. With 3.43 lakh coffee growers in the southern state facing pending loans cumulatively amounting up to Rs 6,000-crore, the KPA and the Coffee Board have been seeking interest waiver from the Ministry on the loans.